Do you love icecream? I have to admit I am an icecream fanatic! Last night I had some Chocolate Raspberry Truffle and the other night I had Salted Caramel! You have until the 15th to get your photo uploaded over at If You Give A Crafter A Cookie ! Can't wait to see what you come up with! supplies: paper- white cs(neenah), kraft cs (the paper studio), cut and paste (american crafts); stamp-essential sentiments (amuse studio); ink- graphite black(archival brilliance); svg file-sweet stuff shaped cards (cutting cafe); accessories- triangle dry embossing folder (the paper studio). This was so much fun to make! It was pretty exciting to get my Cricut Expression cutting an svg file!!! And if it wasn't for our sponsor this week...I wouldn't have ever tried!!! 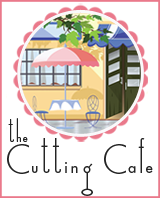 Thanks so much Cutting Cafe! They are giving a random winner 3 files! So nice of them! 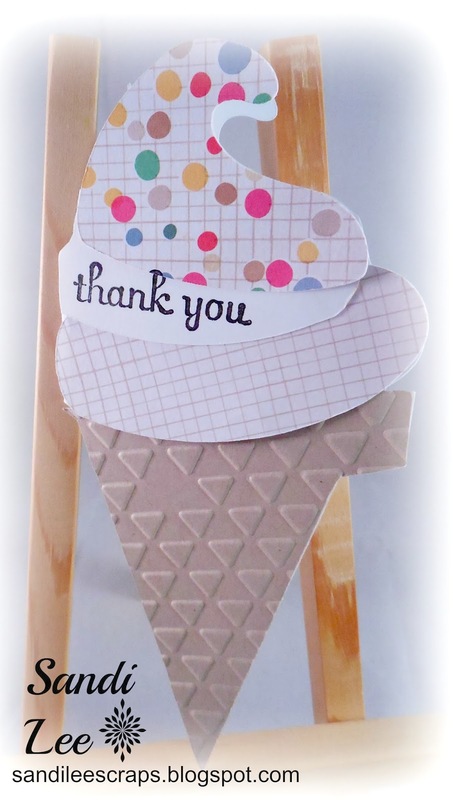 Mod Squad Challenge Blog...use pattern paper. Love the way you've incorporated the sentiment. 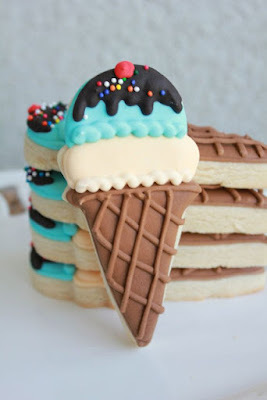 Have you thought about entering our 'sweet summer treats challenge at Make My Monday? I love this,it's so sweet.The embossing folder works so well to create the texture for the cone and those papers are just perfect.This made me smile :)Thanks for joining us at Crafty Sentiments.Hope to see you again next week.